Harry Allen is famous for his real looking designs. 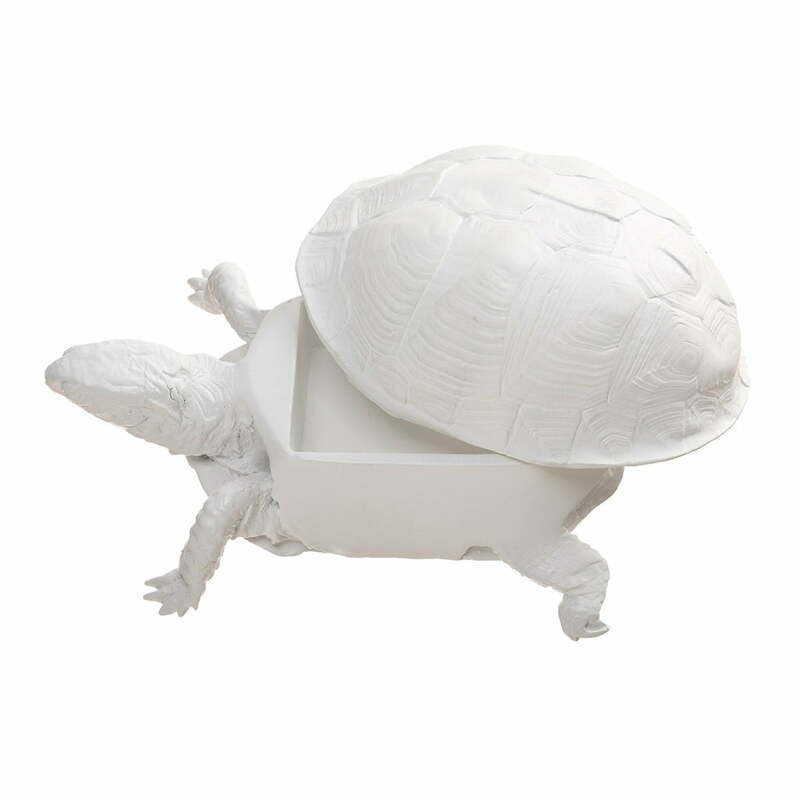 As part of his "Reality Series" the designer now made the Turtle Box for Areaware. The Turtle Box looks real – since it is made of a replica moulding of a real turtle with artificial resin (which died a natural death). The shell of the Areaware made turtle is removable and it sets a small box free with space for small objects such as keys or jewellery. And since nobody would expect those objects in this unusual decoration turtle, they are held safely and decently. 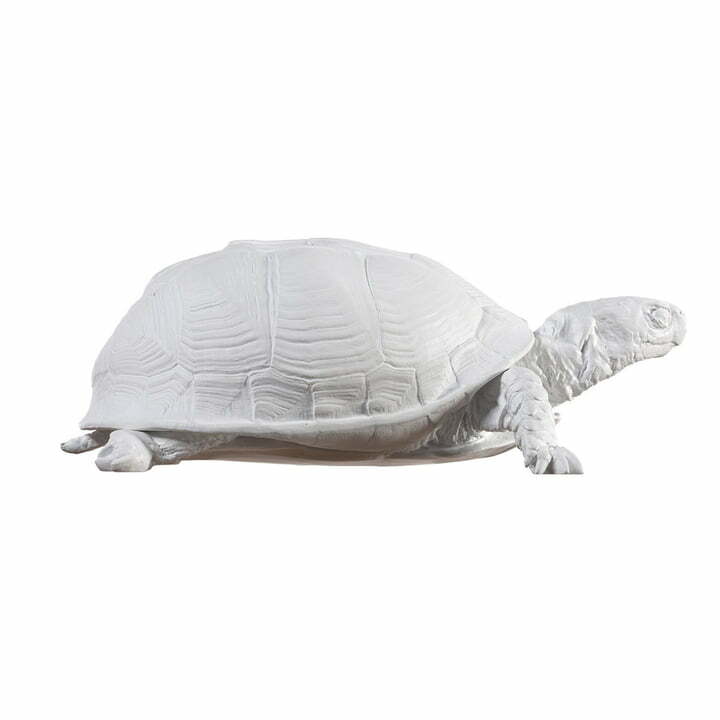 Areaware produces the Turtle Box of artificial resin and marble. 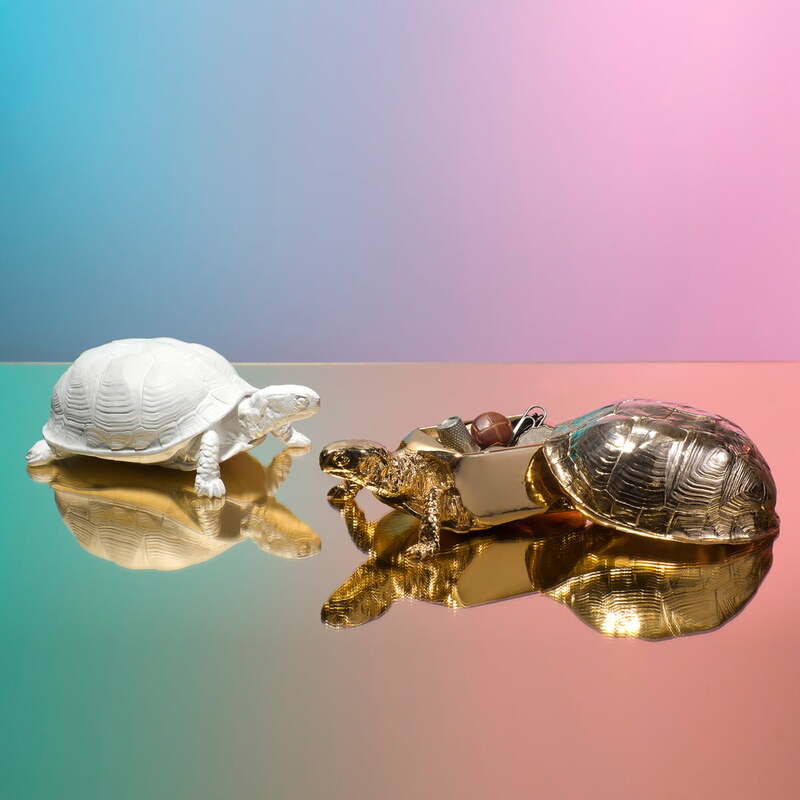 A golden and a chromed edition of the Areaware Turtle Box is also available.